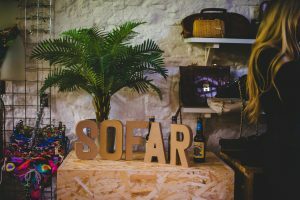 There are more than 400 Sofar Sounds gigs every month now. Ah the joys of heading out to a gig. You’re shuffled ever further from the stage as inebriated hipsters jostle noisily in their frenzied attempts to capture hours of video no-one’s ever going to see again, drowning out the music with their drunken, witty banter. This after hours of studiously ignoring any of the acts misfortunate enough to have been supporting whoever the main attraction was. And then five minutes after the gig, the band you all went to see have suddenly become so big that they can now only ever play to vast hordes, as venues become arenas and arenas stadia. And as the band disappear into the distant horizon, the gulf between them and their fans seems painfully emblematic of a bunch of guys who’ve plainly forgotten why it was that they first met up to play music together in the first place. Such at least were the thoughts of Rafe Offer, Rocky Start and Dave Alexander. So they decided to do something about it, and thus was launched Sofar Sounds way back in 2009. 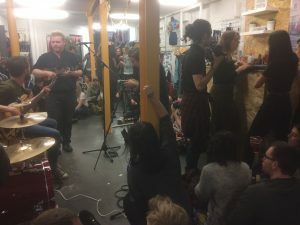 Basically, a secret gig is organized where 30 or 40 people sit cross-legged around somebody’s sofa listening to up and coming bands performing their songs. No drinking, no shouting, and no money to muddy the senses. Just music and ears. These days, there are more than 400 gigs organized a month in some 300 cities across the globe. 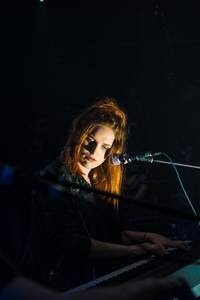 And although you’re more likely to find yourself on the floor of a vintage clothes store than you are in someone’s living room, there are still rarely any more than about a hundred people at any of the gigs. And despite the fact that they sold a chunk of the company to Richard Branson, the very personification of the man, last summer, there’s no evidence yet of any selling of their soul. 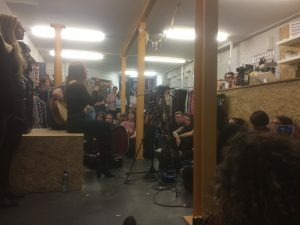 Having languished on the virtual waiting list for a few months, I finally got along to my first Sofar Sounds gig at the end of April. 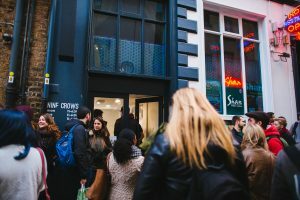 70 or 80 of us gathered at the Nine Crows vintage store in one of the few corners of Dublin’s Temple Bar as yet unsullied by any of the soontobeweds from across the way whose charming shenanigans have turned the area into a cultural wasteland. Sofar Sounds at Nine Crows in Temple Bar. And, having collected our bottle of Kopparberg, who kindly sponsored the event, and whose cider is so magnificently sweet, that there’s absolutely no possibility of anyone ever drinking more than the one bottle of the stuff, rendering any drunkenness a physical impossibility, we sat down to listen. As usual, three acts were there to nervously strut their stuff, each performing a 20-25 minute set. First up was Chase Nova and the Everchanging Bandname, which, to quote the Simpsons, is one of those names that’s funny the first time you hear it, but gets increasingly less so the more you think about it. The songs they performed were actually a lot better than that name suggests, and all they need now is to become a little less polite and a little more, you know, rock and roll. That natural charm that they exude needs a pinch of salt to offset it. Chase Nova and the Everchanging Bandname. 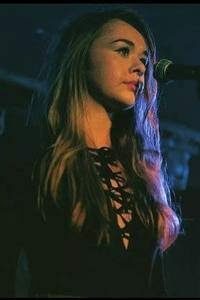 Next up was Fiona Harte, a 23 year old from the North who’s a recent graduate of the Dublin branch of the BIMM music institute. And she was followed by Molly Sterling who apparently represented us at the 2015 Eurovision which, happily, was one of those years that none of us paid any attention to. So she should have no difficulty in putting any of that behind her to concentrate on actual music. 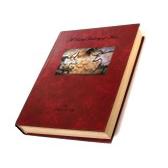 Both produced sets of intense introspection that brooded on matters clearly personal. I’m not sure exactly what it was that the men in their lives had done, but I found myself studiously avoiding eye contact, as I fidgeted quietly away from the stage to hide behind one of the pillars. I’m pretty sure I overheard one of the people next to me quote Camille Paglia, or maybe it was Shere Hite. Molly Sterling holds court in Dublin. All three performers and their bands were generous, serious, welcoming and will definitely produce interesting work when they get back into the recording studio to lay something down on disc. And Sofar Sounds is a brilliant idea, superbly realised, and yet to be darkened by the shadow of filthy lucre. And best of all, barely a phone in sight. As we left, we were gently encouraged to donate 5 Euro for all the work that the organisers had put in, voluntarily, for our enjoyment. Which is almost embarrassingly little. But it’s very much in keeping with the spirit of the venture. Long may it continue thus.